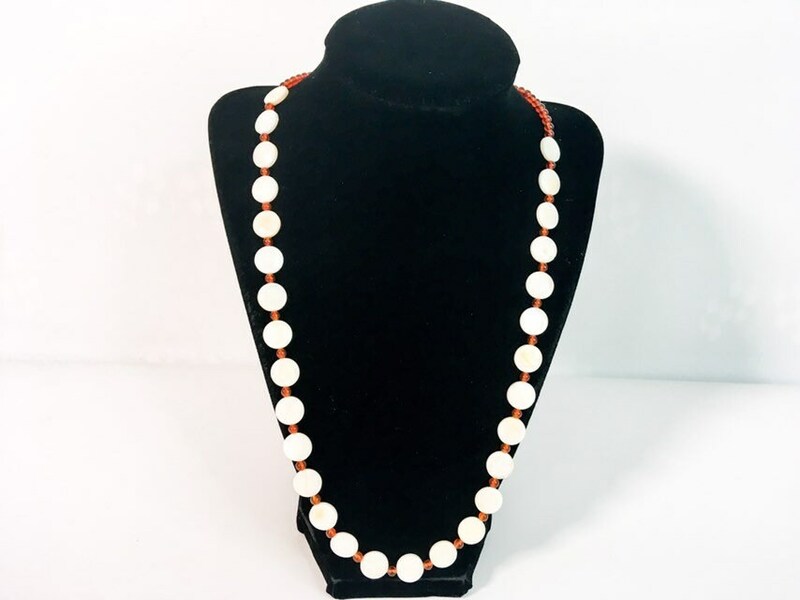 A lovely Art Deco Era string of Mother of Pearl round flat disc beads and small red carnelian beads with a Sterling Silver clasp. 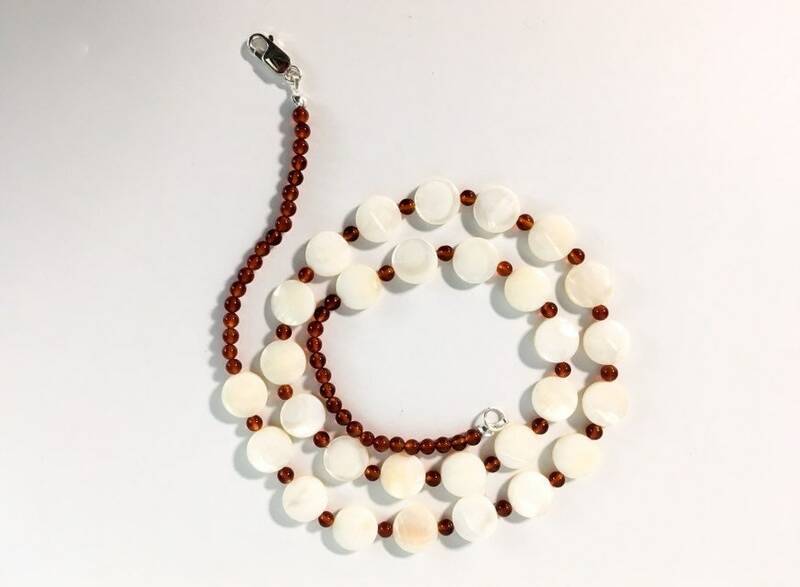 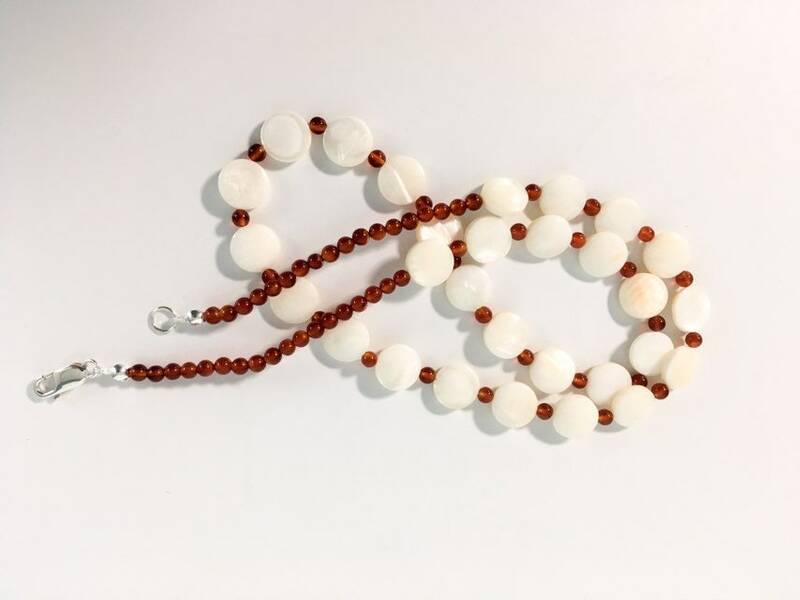 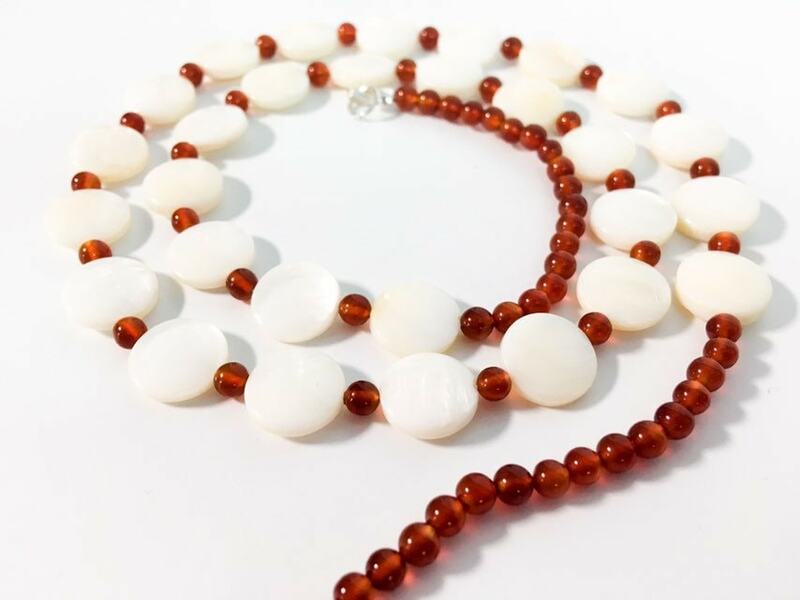 The small round red carnelian beads are strung in between the 29 white / off-white mother of pearl beads. 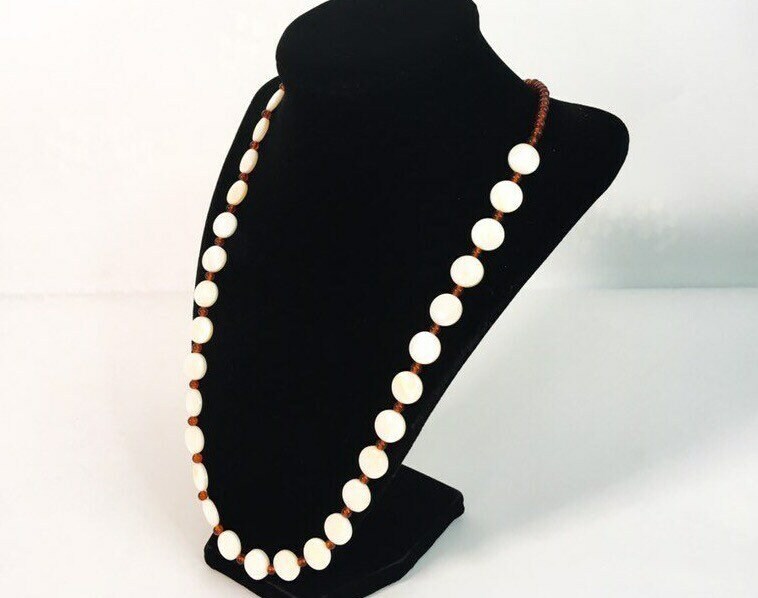 The mother of pearl beads are a disc shape with an approximate 1/3" diameter. 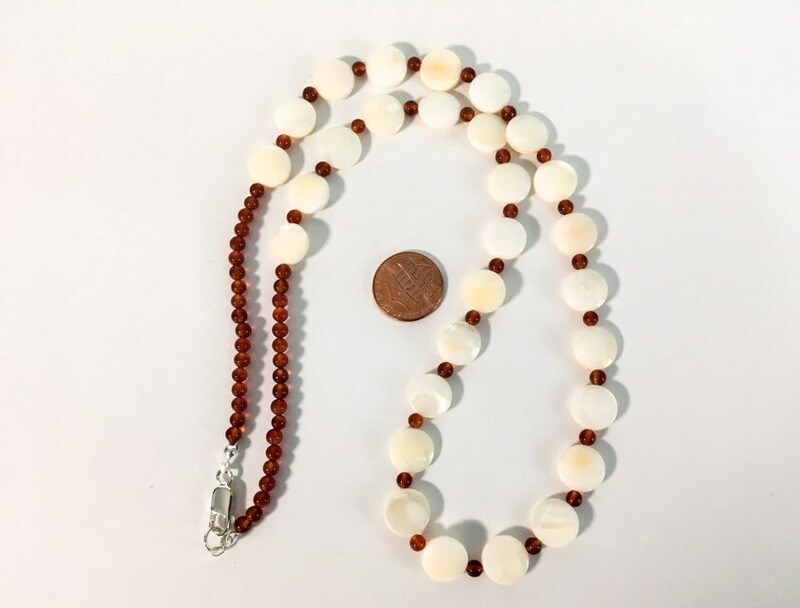 The red carnelian beads are about 4 mm in size. 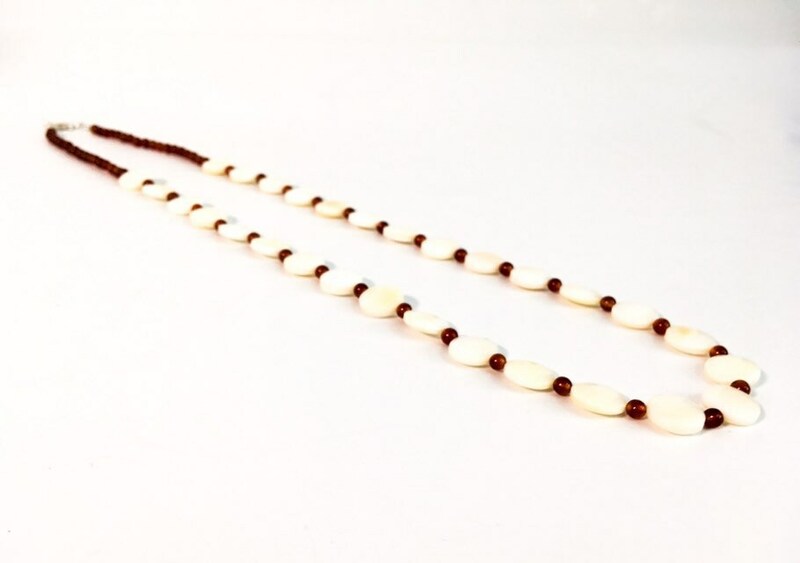 This single strand necklace made of vintage/antique beads is 24” long, which is considered Matinee length. 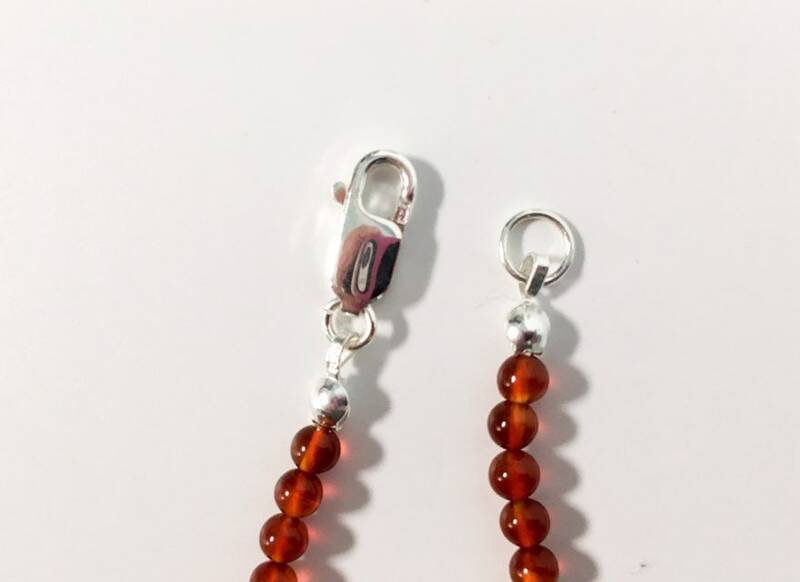 The retro beads have been restrung on silk thread and have a hallmarked sterling silver 925 lobster clasp. 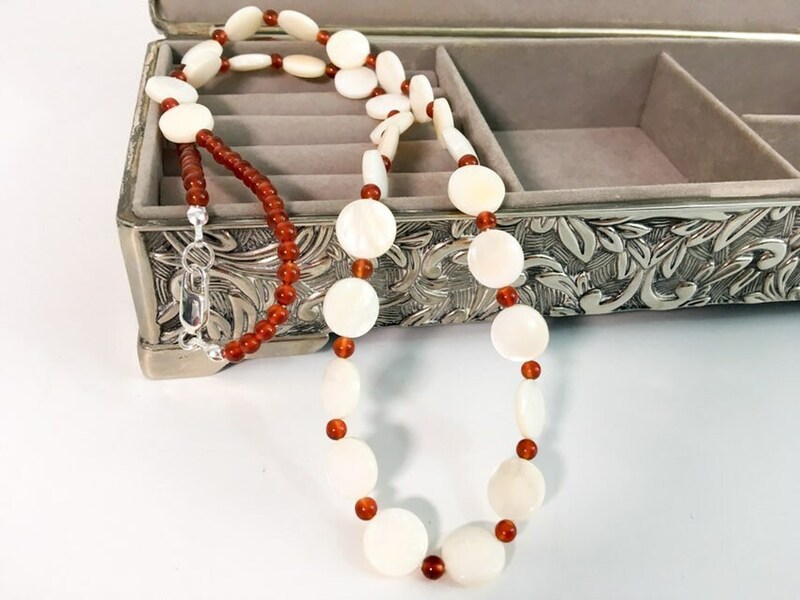 The clasp opens and closes securely. 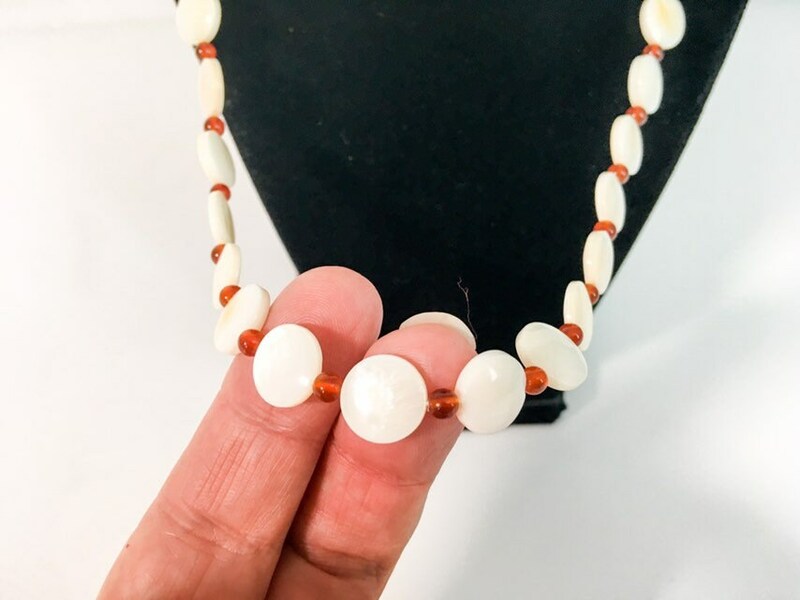 The beads are in nice vintage condition with wear commensurate with vintage / antique age.